SHOPIFY CUSTOM HECKLER TOOL KIT Barcoding Store, powered by Strategic Mobiltiy Group, LLC (SMG3) offers globally recognized products and industry-leading solutions to enhance your organnization's productivity. Combining optimal search functionality and industry-leading products from Zebra, Honeywell, AML, etc., Barcoding Store creates a superior shopping experience unlike any other withing our industry. 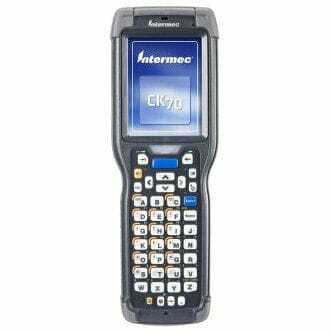 UNITECH, ACCESSORY, EM PROXIMITY CARD, 125 KHZ, THIN, FOR MT380 / MT650 Barcoding Store, powered by Strategic Mobiltiy Group, LLC (SMG3) offers globally recognized products and industry-leading solutions to enhance your organnization's productivity. Combining optimal search functionality and industry-leading products from Zebra, Honeywell, AML, etc., Barcoding Store creates a superior shopping experience unlike any other withing our industry. 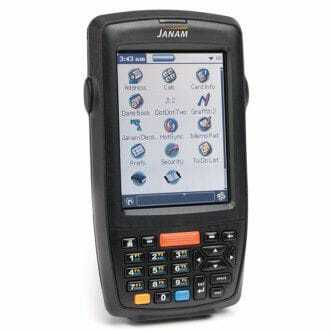 JANAM, STYLUS (5-PACK) FOR XM2 SERIES Barcoding Store, powered by Strategic Mobiltiy Group, LLC (SMG3) offers globally recognized products and industry-leading solutions to enhance your organnization's productivity. Combining optimal search functionality and industry-leading products from Zebra, Honeywell, AML, etc., Barcoding Store creates a superior shopping experience unlike any other withing our industry. JANAM, STYLUS (5-PACK) FOR XG3 SERIES Barcoding Store, powered by Strategic Mobiltiy Group, LLC (SMG3) offers globally recognized products and industry-leading solutions to enhance your organnization's productivity. Combining optimal search functionality and industry-leading products from Zebra, Honeywell, AML, etc., Barcoding Store creates a superior shopping experience unlike any other withing our industry. HONEYWELL, SPARE PART, BATTERY END CAP, BLACK. Barcoding Store, powered by Strategic Mobiltiy Group, LLC (SMG3) offers globally recognized products and industry-leading solutions to enhance your organnization's productivity. Combining optimal search functionality and industry-leading products from Zebra, Honeywell, AML, etc., Barcoding Store creates a superior shopping experience unlike any other withing our industry. LABELMATE, LOCK KNOB(RED) FOR 70MM OR LARGER DIAMETER QUICK CHUCK WITH HARDWARE Barcoding Store, powered by Strategic Mobiltiy Group, LLC (SMG3) offers globally recognized products and industry-leading solutions to enhance your organnization's productivity. Combining optimal search functionality and industry-leading products from Zebra, Honeywell, AML, etc., Barcoding Store creates a superior shopping experience unlike any other withing our industry. SPACEPOLE, PAYMENT: EXADIGM N5 "CRADLE" MULTIGRIP PLATE, NO HANDLE (BLACK) Barcoding Store, powered by Strategic Mobiltiy Group, LLC (SMG3) offers globally recognized products and industry-leading solutions to enhance your organnization's productivity. Combining optimal search functionality and industry-leading products from Zebra, Honeywell, AML, etc., Barcoding Store creates a superior shopping experience unlike any other withing our industry. HONEYWELL, ACCESSORY, CBL, USB TYPE A, COILED, 3M, FOR L-TRON, (T) Barcoding Store, powered by Strategic Mobiltiy Group, LLC (SMG3) offers globally recognized products and industry-leading solutions to enhance your organnization's productivity. Combining optimal search functionality and industry-leading products from Zebra, Honeywell, AML, etc., Barcoding Store creates a superior shopping experience unlike any other withing our industry. SPACEPOLE, ESSENTIALS: SPACEPOLE VESA 75MM TO 100MM CONVERTER PLATE (BLACK) Barcoding Store, powered by Strategic Mobiltiy Group, LLC (SMG3) offers globally recognized products and industry-leading solutions to enhance your organnization's productivity. Combining optimal search functionality and industry-leading products from Zebra, Honeywell, AML, etc., Barcoding Store creates a superior shopping experience unlike any other withing our industry. HONEYWELL, ACCESSORY, CABLE: USB, BLACK, 12V LOCKING, 3M (9.8 ), STRAIGHT, 5V HOST POWER, (T) Barcoding Store, powered by Strategic Mobiltiy Group, LLC (SMG3) offers globally recognized products and industry-leading solutions to enhance your organnization's productivity. Combining optimal search functionality and industry-leading products from Zebra, Honeywell, AML, etc., Barcoding Store creates a superior shopping experience unlike any other withing our industry. DETECTO SCALES, ENTERPRISE POINT OF SALE, LOGISTICS SCALE ACCESSORIES, 7 FT EXTENSION CABLE FOR APS DISPLAY Barcoding Store, powered by Strategic Mobiltiy Group, LLC (SMG3) offers globally recognized products and industry-leading solutions to enhance your organnization's productivity. Combining optimal search functionality and industry-leading products from Zebra, Honeywell, AML, etc., Barcoding Store creates a superior shopping experience unlike any other withing our industry. 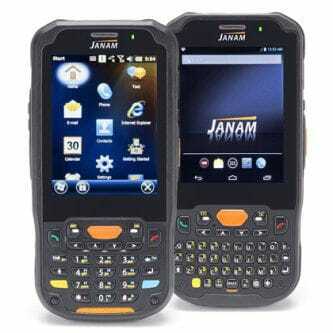 JANAM, WAVELINK INDUSTRIAL BROWSER - ANNUAL MAINTENANCE Barcoding Store, powered by Strategic Mobiltiy Group, LLC (SMG3) offers globally recognized products and industry-leading solutions to enhance your organnization's productivity. Combining optimal search functionality and industry-leading products from Zebra, Honeywell, AML, etc., Barcoding Store creates a superior shopping experience unlike any other withing our industry. SYSTEM, WAND EMULATION CABLE FOR HHP 3800/5700, POWER ON PIN 9 Barcoding Store, powered by Strategic Mobiltiy Group, LLC (SMG3) offers globally recognized products and industry-leading solutions to enhance your organnization's productivity. Combining optimal search functionality and industry-leading products from Zebra, Honeywell, AML, etc., Barcoding Store creates a superior shopping experience unlike any other withing our industry. 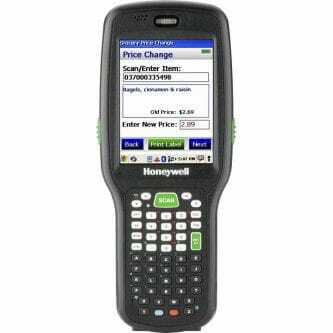 HONEYWELL, ACCESSORY, CBL, 55/30,RS232TTL 25P F EP , (T) Barcoding Store, powered by Strategic Mobiltiy Group, LLC (SMG3) offers globally recognized products and industry-leading solutions to enhance your organnization's productivity. Combining optimal search functionality and industry-leading products from Zebra, Honeywell, AML, etc., Barcoding Store creates a superior shopping experience unlike any other withing our industry. HONEYWELL, ACCESSORY, RPL,PS,+5.2V@3.8A/+12V@1.5A,6PIN,LV6, (T) Barcoding Store, powered by Strategic Mobiltiy Group, LLC (SMG3) offers globally recognized products and industry-leading solutions to enhance your organnization's productivity. Combining optimal search functionality and industry-leading products from Zebra, Honeywell, AML, etc., Barcoding Store creates a superior shopping experience unlike any other withing our industry. PANASONIC US, ACCESSORY, SINGLE CRADLE, FZ-T1 Barcoding Store, powered by Strategic Mobiltiy Group, LLC (SMG3) offers globally recognized products and industry-leading solutions to enhance your organnization's productivity. Combining optimal search functionality and industry-leading products from Zebra, Honeywell, AML, etc., Barcoding Store creates a superior shopping experience unlike any other withing our industry. 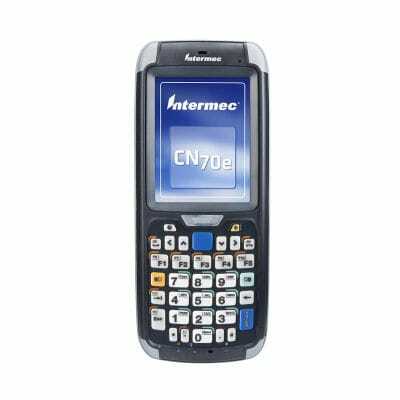 UNITECH, ACCESSORY, GUN GRIP FOR EA602 Barcoding Store, powered by Strategic Mobiltiy Group, LLC (SMG3) offers globally recognized products and industry-leading solutions to enhance your organnization's productivity. Combining optimal search functionality and industry-leading products from Zebra, Honeywell, AML, etc., Barcoding Store creates a superior shopping experience unlike any other withing our industry. ZEBRA AIT, ACCESSORY, KIT, SINGLE ETHERNET CRADLE QLN/ZQ6 HC SERIES (US) Barcoding Store, powered by Strategic Mobiltiy Group, LLC (SMG3) offers globally recognized products and industry-leading solutions to enhance your organnization's productivity. Combining optimal search functionality and industry-leading products from Zebra, Honeywell, AML, etc., Barcoding Store creates a superior shopping experience unlike any other withing our industry. WASP, WPL612 REPLACEMENT 300 DPI PRINT HEAD Barcoding Store, powered by Strategic Mobiltiy Group, LLC (SMG3) offers globally recognized products and industry-leading solutions to enhance your organnization's productivity. Combining optimal search functionality and industry-leading products from Zebra, Honeywell, AML, etc., Barcoding Store creates a superior shopping experience unlike any other withing our industry. EXADIGM, N5 SMART TERMINAL - WIFI - BLACK (QTY 1 - N5 DOCKING CHARGING ONLY INCLUDED IN PURCHASE) Barcoding Store, powered by Strategic Mobiltiy Group, LLC (SMG3) offers globally recognized products and industry-leading solutions to enhance your organnization's productivity. Combining optimal search functionality and industry-leading products from Zebra, Honeywell, AML, etc., Barcoding Store creates a superior shopping experience unlike any other withing our industry. DATALOGIC ADC, FOLDING MIRROR, DLA, 3/8IN X 28 IN, FGLASS Barcoding Store, powered by Strategic Mobiltiy Group, LLC (SMG3) offers globally recognized products and industry-leading solutions to enhance your organnization's productivity. Combining optimal search functionality and industry-leading products from Zebra, Honeywell, AML, etc., Barcoding Store creates a superior shopping experience unlike any other withing our industry. LGE, 49" FHD, 1920 X 1080, 300 NIT, HDMI, 1 RS232, USB, RGB, COMPONENT, RJ-45 / 2 POLE STAND, SPEAKER, STAND, VIEWING ANGLE 178/178 NTSC, BLACK BEZEL COLOR, 2 YEAR WARRANTY Barcoding Store, powered by Strategic Mobiltiy Group, LLC (SMG3) offers globally recognized products and industry-leading solutions to enhance your organnization's productivity. Combining optimal search functionality and industry-leading products from Zebra, Honeywell, AML, etc., Barcoding Store creates a superior shopping experience unlike any other withing our industry. SAMSUNG, 32-INCH COMMERCIAL LED LCD DISPLAY, TAA, VGA, DVI, HDMI, STEREO MINI, USB, FULLY FUNCTIONING UNIT, NO DAMAGE TO GLASS, PACKAGING DAMAGE ONLY Barcoding Store, powered by Strategic Mobiltiy Group, LLC (SMG3) offers globally recognized products and industry-leading solutions to enhance your organnization's productivity. Combining optimal search functionality and industry-leading products from Zebra, Honeywell, AML, etc., Barcoding Store creates a superior shopping experience unlike any other withing our industry. LGE, 55" FHD, 1920 X 1080, 300 NIT, HDMI, 1 RS232, USB, RGB, COMPONENT, RJ-45 / 2 POLE STAND, SPEAKER, STAND, VIEWING ANGLE 178/178 NTSC, BLACK BEZEL COLOR, 2 YEAR WARRANTY Barcoding Store, powered by Strategic Mobiltiy Group, LLC (SMG3) offers globally recognized products and industry-leading solutions to enhance your organnization's productivity. Combining optimal search functionality and industry-leading products from Zebra, Honeywell, AML, etc., Barcoding Store creates a superior shopping experience unlike any other withing our industry. 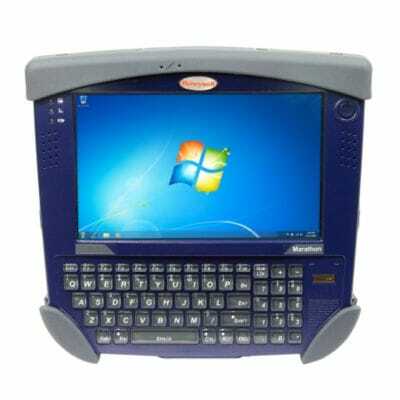 HONEYWELL, IF2A, STD, 1W,902-907.5,915-928MHZ,BRZL Barcoding Store, powered by Strategic Mobiltiy Group, LLC (SMG3) offers globally recognized products and industry-leading solutions to enhance your organnization's productivity. Combining optimal search functionality and industry-leading products from Zebra, Honeywell, AML, etc., Barcoding Store creates a superior shopping experience unlike any other withing our industry. DETECTO SCALES, PRICE COMPUTING, LABEL PRINTING SCALE, DL SERIES, 30LB CAPACITY INCLUDES SOFTWARE UTILITY Barcoding Store, powered by Strategic Mobiltiy Group, LLC (SMG3) offers globally recognized products and industry-leading solutions to enhance your organnization's productivity. Combining optimal search functionality and industry-leading products from Zebra, Honeywell, AML, etc., Barcoding Store creates a superior shopping experience unlike any other withing our industry. 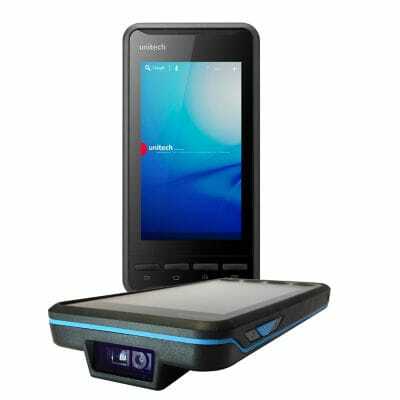 HONEYWELL,CN80 , 3GB , 32GB , NUMERIC , 6603ER EXTENDED RANGE IMAGER , CAMERA , 802.11ABGN , WWAN , BLUETOOTH , ANDROID7 GMS , NO CLIENT PACK , STD TEMP , FCC Barcoding Store, powered by Strategic Mobiltiy Group, LLC (SMG3) offers globally recognized products and industry-leading solutions to enhance your organnization's productivity. Combining optimal search functionality and industry-leading products from Zebra, Honeywell, AML, etc., Barcoding Store creates a superior shopping experience unlike any other withing our industry. 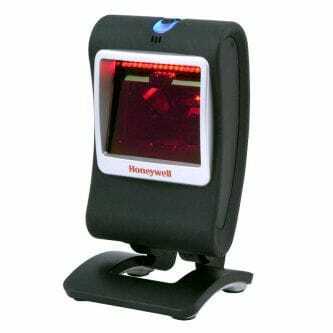 HONEYWELL,CN80 , 3GB , 32GB , NUMERIC , 6603ER EXTENDED RANGE IMAGER , CAMERA , 802.11ABGN , WWAN , BLUETOOTH , ANDROID7 GMS , NO CLIENT PACK , NON-INCENDIVE , FCC Barcoding Store, powered by Strategic Mobiltiy Group, LLC (SMG3) offers globally recognized products and industry-leading solutions to enhance your organnization's productivity. Combining optimal search functionality and industry-leading products from Zebra, Honeywell, AML, etc., Barcoding Store creates a superior shopping experience unlike any other withing our industry.